With a double skin casing completely made ​​of wear resistant steel, the machine SMWA k is a perfect mulcher for exacting conditions. Linkage frame is suitable for most current implement carriers and for tractors with reverse drive. The center of gravity is close to the tractor. 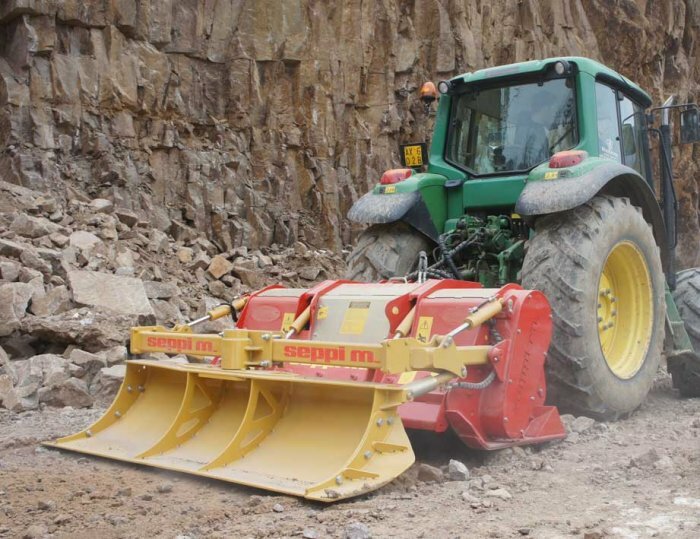 The lightweight construction of the flail mulcher SMWA k allows work on sloping ground. With a manual inverter the rotor can be operated in both directions and the mulching result will be optimized. Depending on the direction of the rotor shaft it mulches low or high grass and brush. 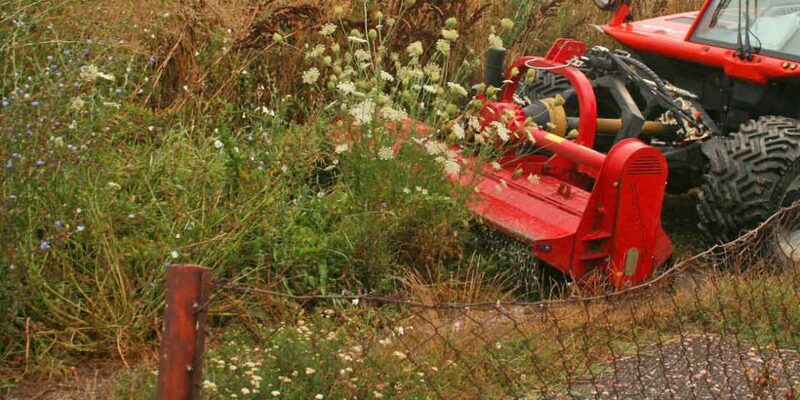 Wide-open hydraulic front hood is appropriate to mulch high grass. 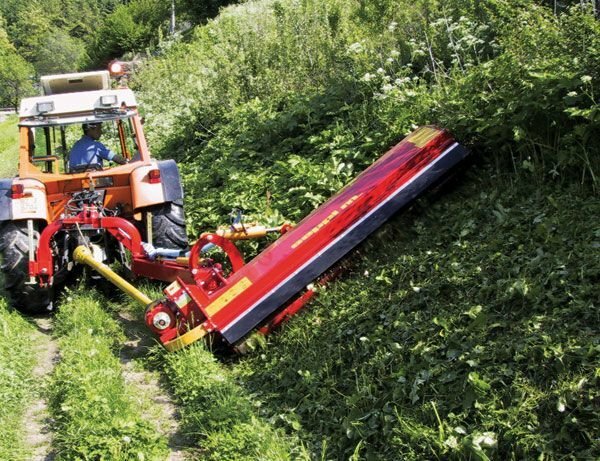 Different rotor choices allow the SMWA k to operate in grass, brush or wood. The new tools – SMW DUO™ allows the rotor to be operated in both directions, so increasing the range of materials that the machine will cut. The new hammer is based on the hugely successful SMW hammer and will cut grass, hedges and bushes.With the standard rotor the SMW DUO™ hammer will cut grass and bushes up to 5 cm [2”]. 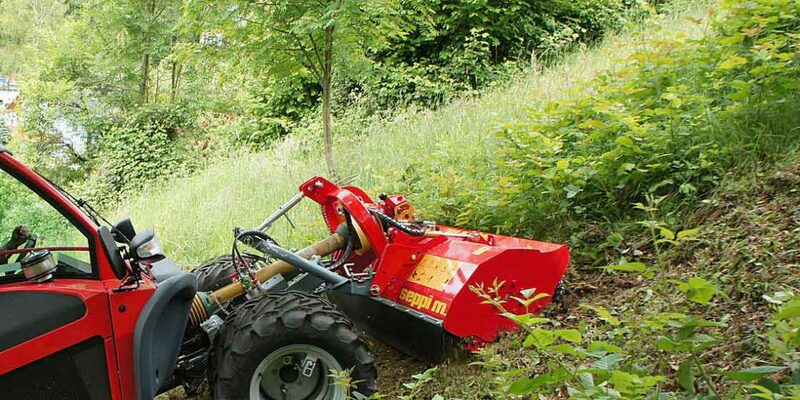 In conjunction with the forestry rotor with swinging hammers will cut and mulch material up to 12 cm [5”]. The movement will stop when used incorrectly, minimizing material throw-out. The hydraulic drive version H-SMWA-K is available also for Excavators or hyd. Tractors and Prime Mowers. 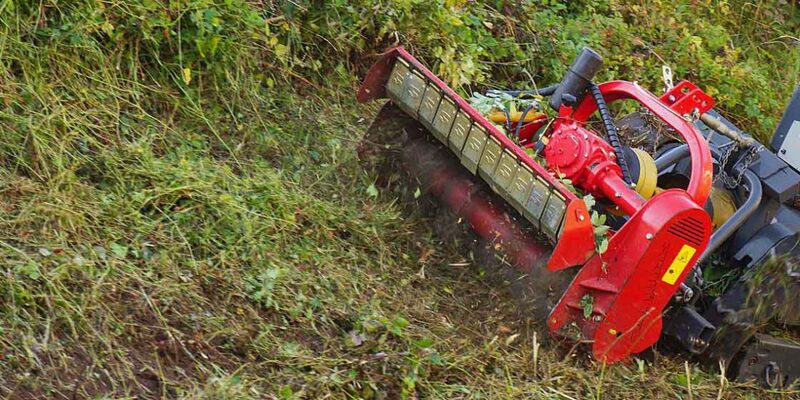 Ideal for different types of vegetation management, right of way and road maintenance, land clearing and with forestry rotor also for clearing forests after harvesting wood, brush on road side and much more. Available working width: 155, 175, 200, 225 cm [61″, 69″, 79″, 88″].